Freedom to Read Week 2016 | What's that, UASC? 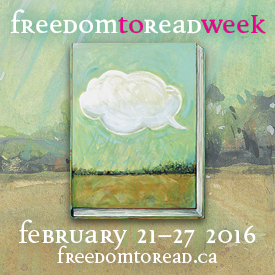 The end of February heralds the return of Freedom to Read Week, which runs Feb 21-27. This week is meant to inspire Canadians to think critically about their intellectual freedom, and to educate the public about books being challenged and banned. 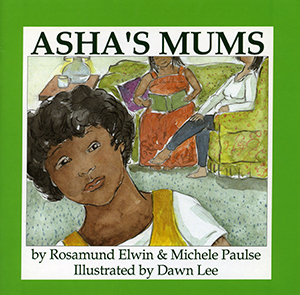 There are many books that are still challenged and pulled from the shelves of schools and library’s every year and which impacts the rights of Canadians. To celebrate Freedom to Read Week we have decided to highlight two often challenged children’s books from our Neil Richards Collection of Sexual and Gender Diversity. The story features a young Guinea Pig named Chloe who fears that her favourite Uncle won’t have time for her anymore after he gets married. But once she gets to know her uncle’s Fiancé better she becomes excited to have two uncles instead of one. It is a charming book with beautiful illustrations which tells the story about a young girl who worries about losing the affection of her Uncle when he gets married – and it just so happens that he is marrying another man. In the most recent challenge to this book that could be found we are happy to report that the book remained on the shelves. 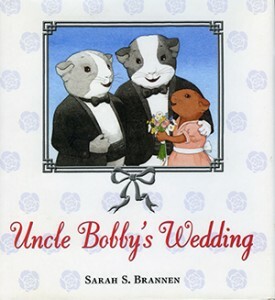 1 “Uncle Bobby’s Wedding.” Favorite Banned Books. Accessed February 16 2016. 2 “Challenge to UNCLE BOBBY’S WEDDING Rejected in Missouri.” CBLDF. Accessed February 16 2016. 3“Challenged Books and Magazines List.” Freedom to Read Week. Freedom of Expression Committee of the Book and Periodical Council. 28. Accessed February 16 2016. This entry was posted in Richards Collection and tagged challenged books, Freedom to Read Week, LGBTQ+ on February 21, 2016 by aec059. Pingback: The Neil Richards Collection of Sexual and Gender Diversity | What's that, UASC?